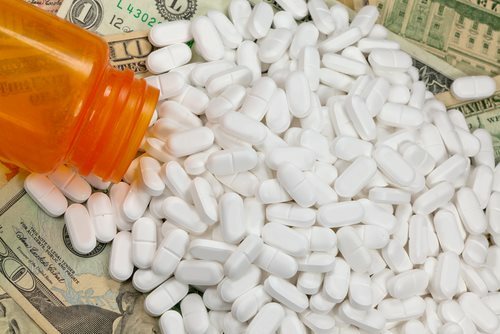 On November 9, 2012, the US Attorney’s Office for the Eastern District of Virginia announced that Paul Boccone was sentenced to 180 months in prison and three years of supervised release after he illegally gave thousands of customers oxycodone prescriptions and other prescriptions as well. The lead nurse for Chantilly Specialists, Charles Brown, received 60 months in prison and three years of supervised release as well. Chantilly Specialists was a pain management clinic located in Chantilly, Virginia, and Boccone was the owner of the facility. He had no qualifications, training, or medical education, and he hired medical professionals who had no training in pain management as well. Boccone was charged on August 3, 2013 for four crimes: conspiracy to distribute, distributing oxycodone, health care fraud, and payroll tax evasion. Sadly, four patients associated with Chantilly Specialists died of overdoses when the clinic was in operation. The U.S. Attorney’s Office called the clinic a “haven for drug addicts, servicing thousands of customers traveling hundreds of miles.” After one of the patients died from an overdose, Buccone told Brown to alter the patient’s file to cover up the death. According to evidence presented at the trial, Brown prescribed over 800,000 oxycodone pills to more than 600 customers throughout the clinic’s operation. In one case, 14,400 oxycodone pills were provided to one addict alone. The FBI Washington Field Office, the IRS’s Criminal Investigations Division, and the Department of Health and Human Services’ Office of the Inspector General were in charge of the investigation. The Fairfax County Police Department assisted in the investigation as well. Assistant United States Attorney Michael P. Ben’Ary and Special Assistant United States Attorney and Virginia Attorney General Marc J. Birnbaum were in charge of the investigation. The two defendants named in this article were the only people charged during the investigation.